Pluto was traditionally known as the ninth and furthest away planet in our solar system until the 24th August 2006 when the International Astronomical Union (IAU) decided what it means to be a planet and Pluto did not qualify under the rules to be a planet. It was therefore relegated to dwarf planet status and for now we have a total of 8 planets in our solar system with Neptune being the furthest from the Sun. 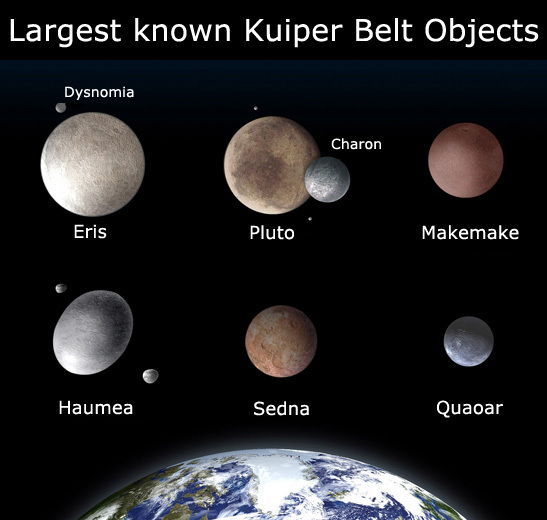 Pluto is small at approximately two thirds the size of our Moon and it is an icy and rocky dwarf planet found within the Kuiper Belt which is a region which is home to many other similarly sized objects. Pluto is named after the Roman god of the underworld to the likelihood of Pluto being a dark and cold world. Let’s find out more about the dwarf planet Pluto. The diameter of Pluto is 0.18 the size of the Earth’s and Pluto’s mass is 1/500th of the Earth. Pluto orbits the Sun every 248.6 Earth years and rotates on its axis fully every 6.39 Earth days. Pluto is 5.9 billion kilometres from the Sun. Pluto is so far away that it takes light from the Sun five and a half hours to reach it compared with it only taking 8 minutes for light from the Sun to reach Earth. Pluto has three known moons, the largest called Charon. Charon is almost half as big as Pluto which leads them to be sometimes called a double dwarf planet system. 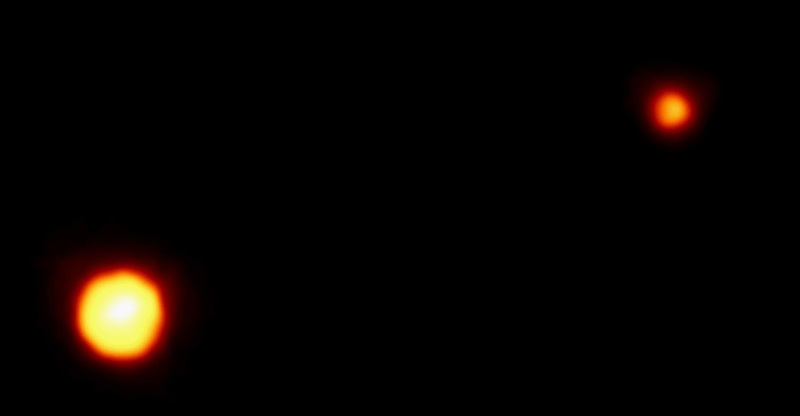 Nix and Hydra, both discovered in 2005 are much smaller moons than Charon. We do not know whether Pluto has a magnetic field but evidence would suggest that it does not or if it does it will be very weak. Pluto has an orbit that makes it appear to cross Neptune, but the two will never collide. Similar to Uranus, Pluto rotates on its side at a tilt of 120 degrees when in orbit. This leads the dwarf planet to have extreme seasonal variations. Due to the extreme distance from the Earth, very little definitive information is known about Pluto (certainly about the surface). Scientists hope that we will be able to obtain more data about Pluto when the spacecraft New Horizons is due to arrive at Pluto in 2015. It is believed that Pluto is made up of 98% nitrogen ice with trace elements of methane and carbon monoxide on the surface. Scientists have estimated that the temperature on Pluto is approximately -230 degrees Celsius. Pluto used to be known as the ninth and final planet in our solar system .This is no longer the case because since 2006 Pluto has no longer been called a planet (it is now a dwarf planet) so Neptune is now technically the furthest planet from our Sun.